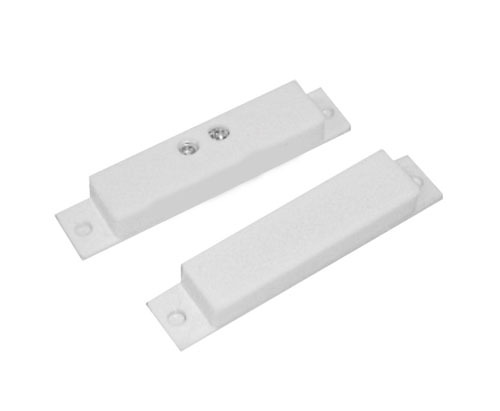 FBMC40 surface mount contact with terminals is designed for window or door applications where a surface mount contact is preferred. Thanks to its unique design, the FBMC40 is fast and easy to install. The switch and magnet are incorporated into the housings. Simply mount the switch and magnet using the tape or mounting screws provided and connect the wire to the terminal blocks. The FBMC40 features an attractive, low-profile design. Looking for ideal Normally Open Type Dry Reed Switch Manufacturer & supplier ? We have a wide selection at great prices to help you get creative. All the Electrical Magnetic Contact Switch are quality guaranteed. We are China Origin Factory of Smart Burglar Alarm System. If you have any question, please feel free to contact us.